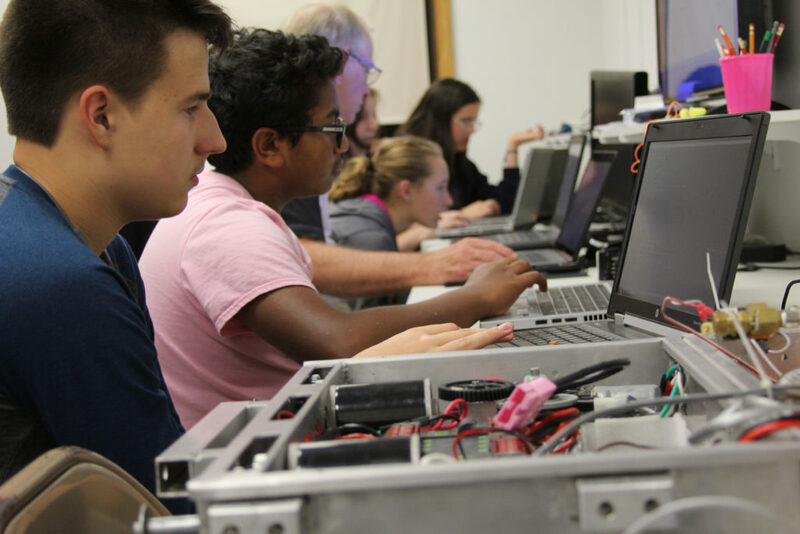 At one of the first meeting of the season back in September, team 525 members explore the inner working of robotics programming. and, above, sophomores Ethan Hughes and Jacob Smothers sift through materials. The FIRST Robotics Competition (FRC) robotics team is powering up for a new season and looking for new members to help add more blue championship banners to the 20 that already line the walls of the team’s shop. Over the years, the award-winning team has also earned other prestigious honors such as the chairman’s award and Woodie Flowers award. The robotics team is open to an unlimited amount of ninth-12th graders that work together to compete by doing things like making a 4.5 foot tall robot with a 2.5 by 3 foot base to complete a variety of challenges. They have started meeting on Tuesdays at 7:00 p.m. at 5547 Westminster Dr. Other team jobs include programming or outreach people who are responsible for recruiting a diverse group of students involved in STEM, management and planning. “We have been historically a very good team. We have been going for 20 years. 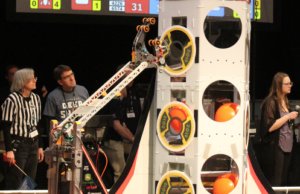 This year [is our 21st year], and it has been a great run so far,” Alex Glascock, a senior on the FRC team, said. Glascock said that before the season of 2017, the team had a seven-year streak of making it to Worlds, and because of the success of the previous years and teams, Glascock said she feels there is a little bit of pressure to live up to their names. She said it helps to push them to be better all of the time. 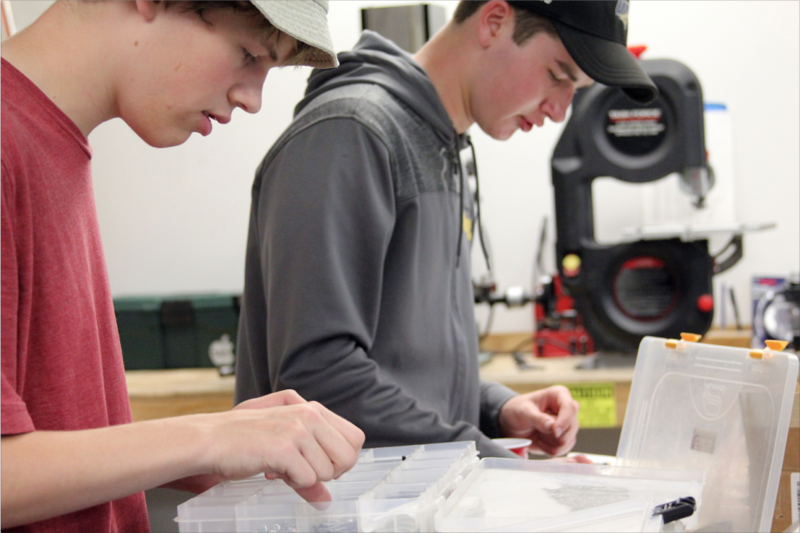 Being involved in robotics can be helpful when students get into the job market and are seeking internships based on their experiences in robotics. “I think it helps some of [the students] in deciding what career they are interested in. In some cases, it helps students decide what career they are not interested in based on their experiences,” Swartley said. The team is looking forward to kickoff on Saturday, Jan. 6 to determine how the season will go. Kickoff is when the team reviews a video of the challenge of what the robot has to do that year. This marks the beginning of the six weeks all robotics teams have to build their robots and to organize the projects for that year. Sophomores Ethan Hughes and Jacob Smothers sift through materials.